Akebono to exhibit brake solutions at Tokyo Motor Show 2017｜News｜Akebono Brake Industry Co., Ltd.
Tokyo, Japan - (October 17, 2017) - Akebono Brake Industry will exhibit new brake solutions at the 45th Tokyo Motor Show, which will be held from October 27th to November 5th at Tokyo Big Sight. 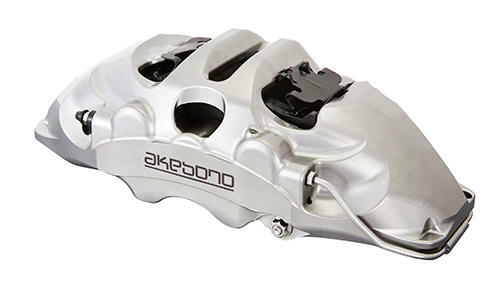 The highlights of this year in Akebono booth include newly developed 10-pot*1 opposed, 8-pot opposed and 4-pot opposed aluminum calipers, all for high performance vehicles. The 10-pot opposed caliper which will be exhibited at the show is a prototype and has special specifications such as compact and light weight targeting high performance sports cars. Adding the 8-pot and 4-pot variations will further enrich Akebono's high performance product line and reinforce our business in Europe. 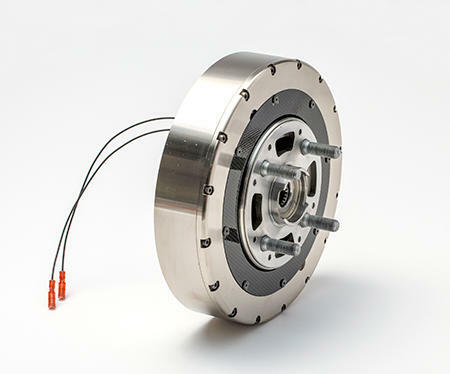 These high performance brakes adopt Akebono's state-of-the-art technologies which have been accumulated through various motorsports activities and provide superior stopping performance at high speed, under severe load and high temperature, along with comfort which is required for premium vehicles. Akebono also displays newly developed "Magneto Rheological (MR) Fluid" brake, which has different mechanism from friction brakes, for forthcoming autonomous drive era and environment preservation.